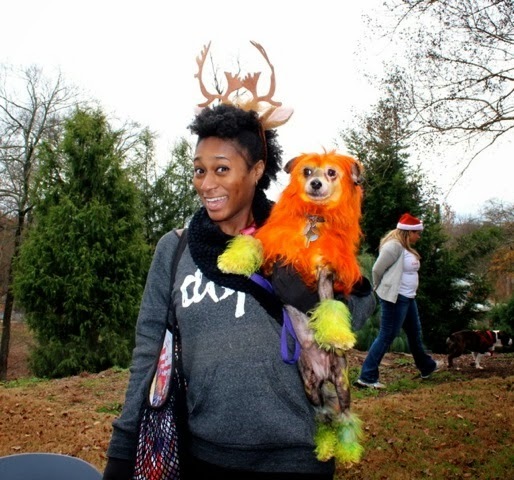 To Dog With Love: Atlanta Reindog Parade 2013! 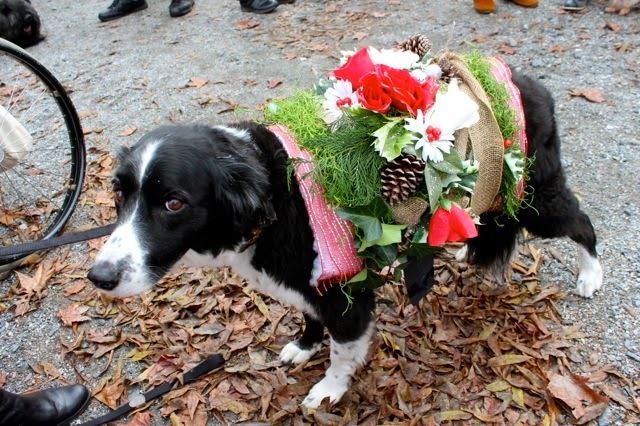 Rocco, with his pals Bingo and Codie had a great time at the Reindog Parade at the Atlanta Botanical Gardens this past weekend. The idea was that each would ride in their own little compartment, and mostly they did. Except that Rocco really preferred to ride with Bingo... I think he kept her warm! We walked and rolled to the event, since the little triplet wagon wouldn't fit in any of our cars! 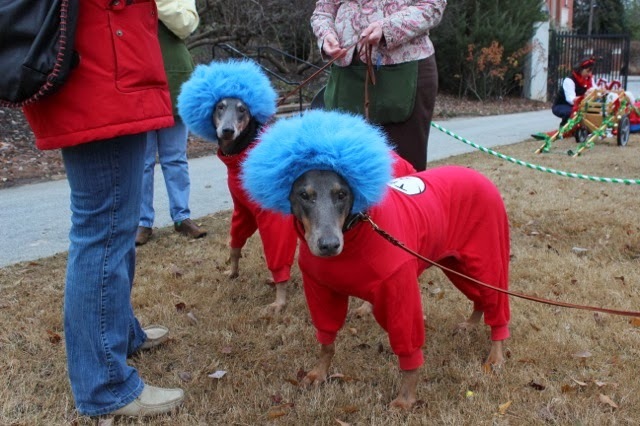 Here's a few of the other Reindog pups! 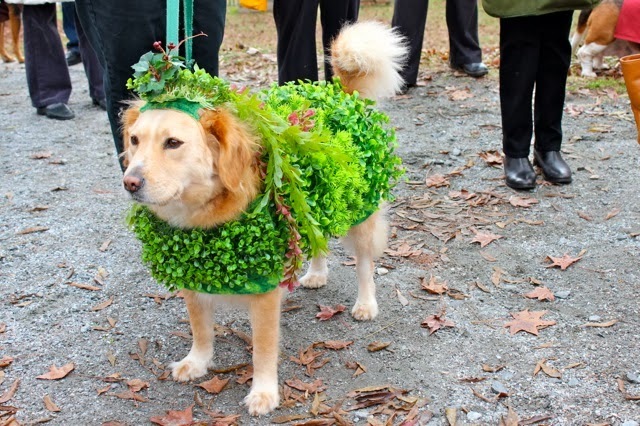 Head over to the BlogPaws Wordless Wednesday Blog Hop for more photo fun! This is fantastic... what fun! Your sweaters look nice and warm, and very festive. Happy Wordless Wednesday! how great! love all the photos! 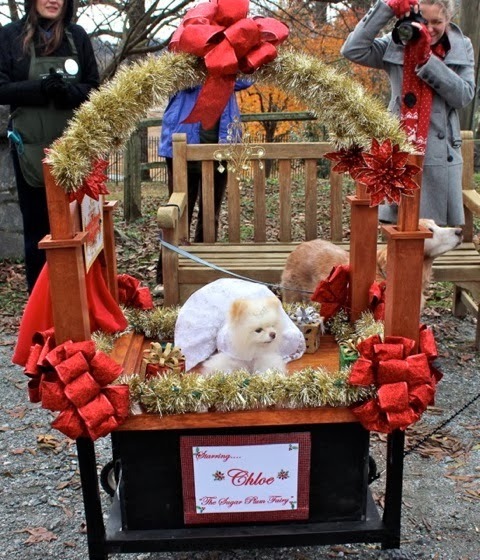 we saw chloe (your last photo) and her special float at the atlanta pet expo in november, she was dressed as a "Toy Dogs & Tiaras" for the costume contest! WOW. Dat is a grrrrrrrrrreat parade. I wish we had one like dat here. Loved those costumes. Looked like a fun parade. Have a tremendous Thursday. This has to be the cutest thing I have ever seen! I just love the little wagons!